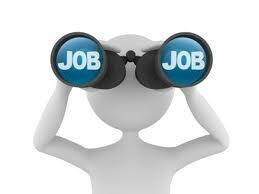 Find test engineer career job description sample (ex. 25702), position duties, work roles and responsibilities example. For related employment contract sample click here. 1) Develops custom test setups for special mechanical and electrical test requirements; is able to identify then specify any special equipment needs which may be required; can outline plans using drawings and schematics to enable effective communication internal external to the organization. 2) Provides technical guidance and support to both internal external customers. 3) Creates detailed operating procedures & forms adhering to quality and safety standards for the appropriate performance documentation of test setups. 4) Trains and/or directs engineering technicians to make sure adherence to established procedures documentation. 5) Performs failure analysis finite element analysis and reports as requested by both internal external customers. 6) Works with applications engineering and sales to develop schedule test plans to meet customer needs. 7) May carry out the testing fully document all relevant results for reporting to the customer. 8) Sets standards of excellence for formal written reports in the test lab. 9) Works directly with the engineering staff and departmental management to specify aid in procurement install operate and maintain all required test equipment and facilities; identifies adheres to proper calibration schedules for all pieces of equipment. 10) Maintains general housekeeping of the test lab including its overall cleanliness maintenance of hand tools and inspection equipment stocking miscellaneous supplies monitoring storage of perishable products and recommends and provides new methodology for better organization improved lab techniques. 11) Works on special projects as directed. * Other work duties may be described based on the business/industry needs from - test engineer - position.